Today is Day Five of the Reindeer Games Olympics. 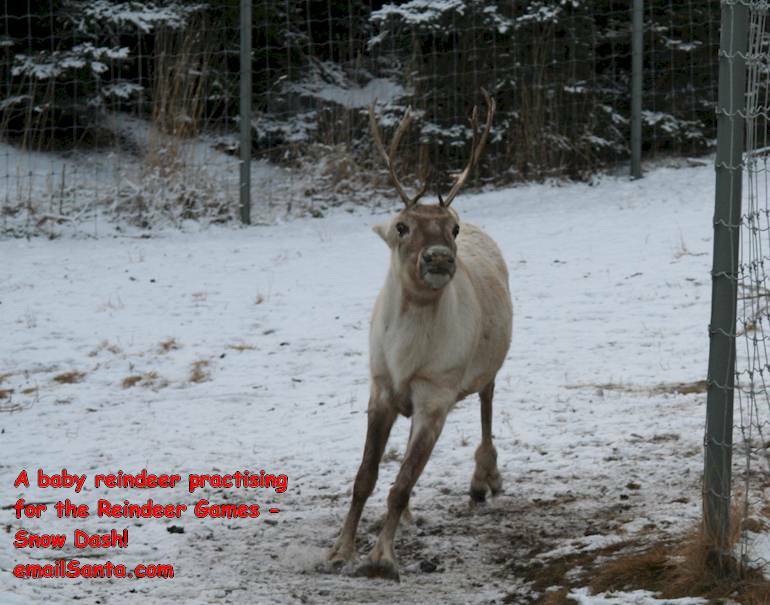 The big event today was the final of the Great Reindeer Relay Race. Two teams were racing for the gold medal. Rudolph, Vixen, Prancer, and Dasher made one team. Donner, Blitzen, Comet, and Cupid made the other team. Both teams really wanted to win! The baton was a long carrot. The reindeer had to carry the carrot in their mouths. The fastest team around the track would be the winners. Passing the carrot was very tricky. The reindeer had to try very hard not to drop it. Rudolph and Donner were first to go. BANG! The starter’s gun went off. It was neck and neck and nose and nose! Rudolph passed the carrot to Vixen. Donner passed the carrot to Blitzen. It was still neck and neck! Vixen passed the carrot to Prancer. Blitzen passed the carrot to Comet. The carrot fell. The crowd gasped. Comet caught the carrot just in time – PHEW! But now Prancer was in the lead. Comet ran as fast as he could go. Prancer passed the carrot to Dasher. Comet passed the carrot to Cupid. Dasher was dashing ahead. Could Cupid catch him? Dasher won the race by a reindeer’s whisker! But wait a minute! Where was the carrot? Oh no! Dasher had eaten it! Scunner the Grumpy Elf was the judge. He did not looked amused. “No carrot means no medal,” he said. Dasher was very embarrassed. Then he hiccupped. Everybody laughed, even Scunner! Three cheers for Donner, Blitzen, Comet, and Cupid. The winners after all! P.S. Carrots are like candy to a reindeer. Could you carry a candy baton and not eat it? Or would you be like Dasher? You can click here to tell me about it or, scroll down to see what other people have written! Are Cupid and Vixin going to have a baby? the carrot .dasher must of been hungrey. That was a cool story I thought the other team would win. *HAPPY DANCE!! * GO DANCER! GO DANCER! It’s okay Dasher.I would have ate the carrot to.Good job all the reindeer!Maybe next time! dear Donner, I want to tell you that your not the only one who whould have eaten it. I love carrets almost as much as candy to! Good luck next year, and if it happens again just laugh not every one is as healthy as you are! and its very nice! and i really like it. good. i cant wait until christmas!!! I wanted rudolphs team to win! Go Rudolph u can win this!!!!!! The relay was cool! I hope Rudolf wins the next relay! I bet Rudolph could win the race next time to beat the other team , but the other team beated Rudolph ‘s team and won the race. I would not eat the candy baton, because I don’t eat candy. I’m a athlete and not suppose to have sweets. But I wish I could just have one piece of cake or a ice cream more often too bad. i love carrots sooo yes i would be like dasher!!! 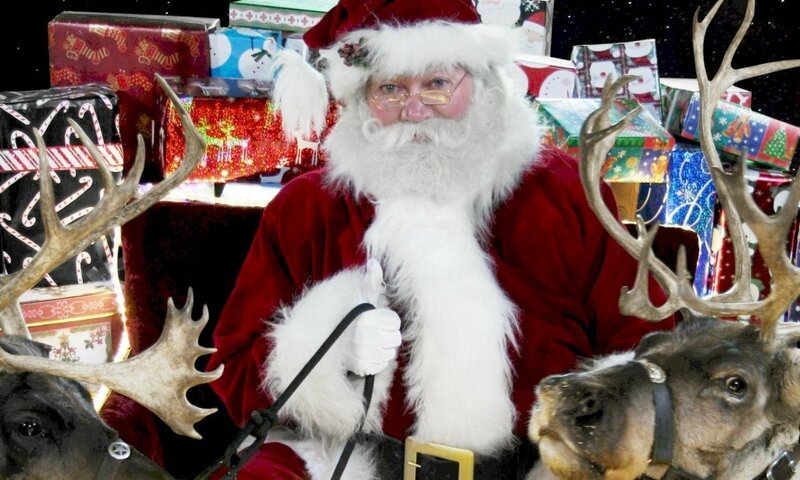 great job Donner,Blitzen, comet, and cupid! you guys rock!! Cool! I didn’t know that reindeers could be in a relay race! I wouldn’t eat the candy. I would wait until they said I could. I think I could carry a candy baton in my mouth without eating it, unless it was maybe a candy cane. I would try so hard but I would stil eat it. I would eat it to.If its in your mouth & you don’t know what to do at the end eat it! If I was in a race I would win the race no problem. If it was chalote i would not eat it and win the race but if it was some other candy i would eat it in 1 sec. Ps: If only I could see the reinders and see u Santa xxxxxxxxx. If it was chocolate I would have it gobbled down in two seconds !!! If It was any other sweet I would be able to win the race !!! Previous PostPrevious Christmas Olympics – Day 4 – Slam Dunk Mouse!